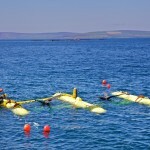 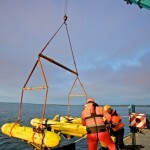 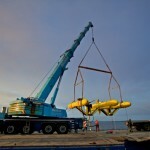 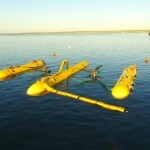 Sustainable Marine Energy (SME) has been conducting submergence tests of its PLAT-O tidal energy platform this week. 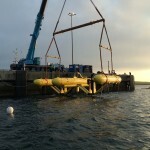 The tests were carried out off Hatston Pier in Kirkwall with the 100kW device, complete with two 50kW Schottel SIT turbines, lifted into the water by Heddle Construction. 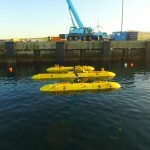 These operations are taking place ahead of the first planned deployment of PLAT-O at EMEC’s grid-connected tidal energy test site at the Fall of Warness this summer. 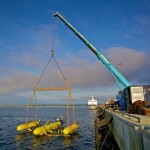 Orkney-based marine renewables service provider, Leask Marine, will be supporting the deployment.